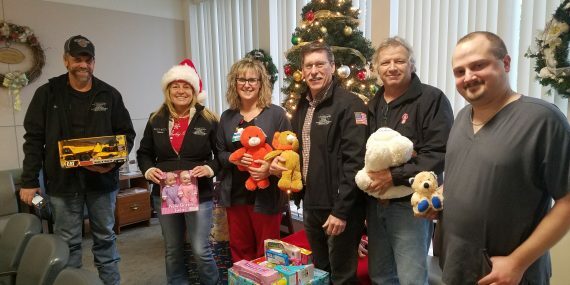 The Cattaraugus County Town Highway Supervisors Association delivered a supply of new toys and stuffed animals for the Bertrand Chaffee Hospital Emergency Department on December 17. Staff in the ED gives out toys to its youngest patients and visitors. 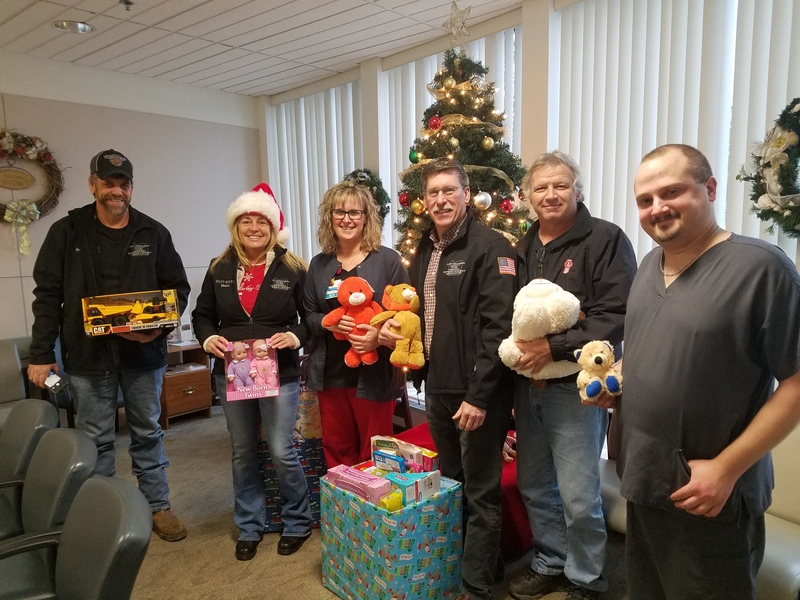 The Association also collected toys during the holiday season to deliver to Olean General Hospital, Cattaraugus County Department of Social Services and the John R. Oishei Children’s Hospital in Buffalo. 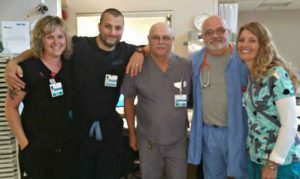 From left: Town of Mansfield Highway Superintendent Brad Hurley, Diane Metz of Suit-Kote, BCH ED Nurse Manager Penny Gardner, RN, Bill Phillips of Gernatt’s, Town of East Otto Highway Superintendent Tom Benz, and BCH ED Nurse Ken Wiedemann, LPN. Bertrand Chaffee Hospital has installed a drug disposal drop off box in its Emergency Department Waiting Room. Members of the public can use this service to dispose of prescription and over-the-counter medications in a safe and secure manner. Although medications are accepted, needles and medical supplies should not be disposed of through ths location. This box was made possible by a grant from the New York State Department of Environmental Conservation through its Pilot Pharmaceutical Take-Back Program. Additional drop off boxes are available in Erie County at many local substations, including the ones in Springville and Boston. 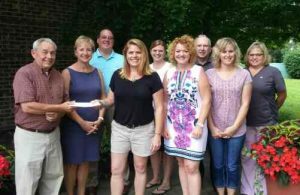 At its July meeting, the BCH Foundation gave a scholarship to Amber Kohn, RN, to apply to her educational expenses. She earned a bachelor’s degree in nursing from Alfred University, and is a nurse in the BCH emergency department. She previously worked on the medical-surgical floor at BCH as a registered nurse and in the ED as a nursing assistant. The Elizabeth Dedrick Scholarship Fund is a way to support BCH and JBR employees as they pursue degrees and training, that they can then bring to their career in caring for patients and residents. 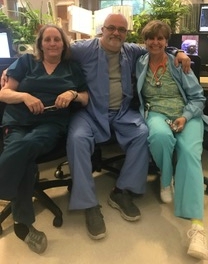 The people who work in the Bertrand Chaffee Hospital Emergency Department have the distinction of being able to say that they are part of one of the most valuable teams in our community. As a registered nurse and nurse manager for the department, Penny Gardner, RN says that the reliability of emergency care at BCH is stronger than ever. “It’s the only place that is open every minute of every day, and we never turn anyone away,” she explained. Emergency care at BCH includes the nursing staff and providers who cover the ED 24 hours a day. That doesn’t count the lab techs and imaging personnel who are ready to perform immediate tests, and the registration clerks, hospitalists and medical-surgical nurses available to admit patients. It also doesn’t include the air medical transport crews from Mercy Flight, who can rapidly transfer patients to a higher level of care once stabilized at BCH. 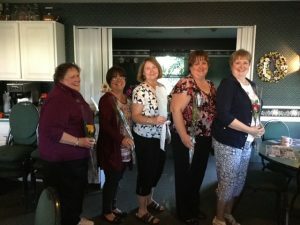 The ED’s connection with Mercy Flight stretches back more than 35 years. It became even more powerful with the construction of a helicopter hangar and ground transport base for Mercy EMS in 2016.